Say it isn’t so so Joan wilder? 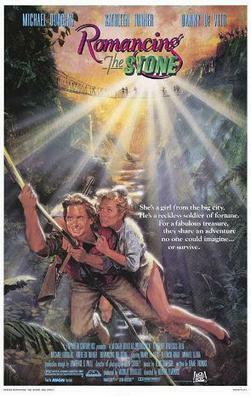 A few posts ago I mentioned that the romancing the stone remake was in production. Well now it looks like they are going to put it to TV with an adventure of the week, with an overall arc! First the Transporter now this I mean really! Anyways please get he casting right ! Also I Really really enjoyed this short to be released ont eh new /Marvel DVD which kind of retells the context of the Hulk Post Credit sequence. Watch enjoy and please as always comment, you know how like this !